So Sundays are usually the day where PostSecret posts its weekly list of homemade postcards on which people from all over the world would write and mail in their secrets anonymously. Today is a Sunday and I too have a secret of my own. Twenty-six days ago, 16 August 2011, I made a postcard for someone. It was meant to be a birthday surprise. I didn’t know if it would even be picked or if it qualifies as a secret for the website but I thought if it got published, it would make her day because she is a regular reader of PostSecret. Then again, she might not have known it was for her! Anyway I went to print out a picture that had significance to us, created a tv set out of a cardboard, and wrote a cheesy message (which I shall not reveal here) at the back of the postcard to Frank. The next morning, I was the first person outside the post office waiting for the staff to open its shutters. When I got to the counter, I realised I had to send the mail by express courier if I want the letter to arrive by 21 August. I handed over $40 willingly, because getting the postcard to PostSecret before that Sunday had meant a lot to me. Once the envelope was stamped and ready to be delivered, I half-ran and half-skipped out of the post office breathlessly. By the time I reached the bus stop, my heart was beating really fast, my face was flushed red and yet, I was grinning. I was smiling the whole time I sat in the bus, so excited I was to have done something I have never done for anyone before. I even emailed to PostSecret about how I had felt – doing something that no one knew. The future was filled with unlimited possibilities. 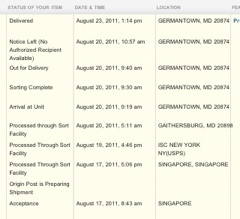 And every day, I’d check the delivery schedule, wondering, wishing and hoping if the postcard will make it on time. Then Sunday came around. I woke up excitedly, holding my breath as I waited for the webpage to load. I scrolled all the way down and the postcard was not among them. Unfortunately, Hurricane Irene had other plans. In the same week, many cities that laid in the path of Irene lost their power, electricity, and were in a pitch-black state. The package was delayed. No one was around to sign for it when it was delivered. When it was finally collected, it was two days past Sunday. So I waited. Another Sunday came around. And another Sunday. Today marks the fourth Sunday. 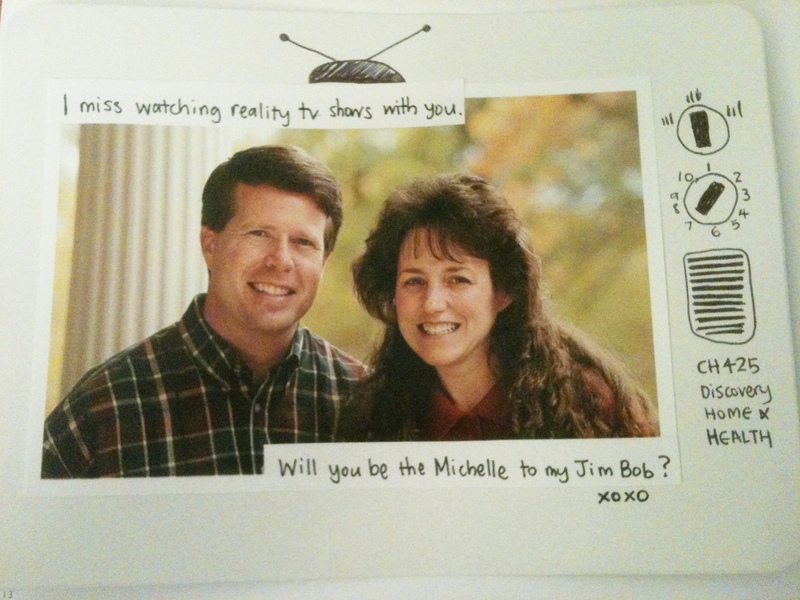 I just checked PostSecret and I think the postcard might have missed the cut. It must have been too bold, too romantic and too open a display of love to be counted as a secret. Ha! If I were you, I’d fall in love with me. So here it is, here is my secret on Sunday, on a date where it has so much significance around the world but none more so than here.